All his life, Jonah Gray Wolf has had an uncanny connection to animals and the power to heal the sick and wounded. Driven from the only home he's ever known by those who wish to harness his gift for profit, he becomes a drifter, working in out-of-the-way towns, never staying long. It's a lonely life, but Jonah knows he's still being hunted�he can't afford to get close to anyone who might learn his secret. In West Virginia he finds Luce, a tough but beautiful loner who knows all about keeping people at a distance�a kindred soul with whom he might dare to make a life. But the hunters have caught Jonah's scent again. 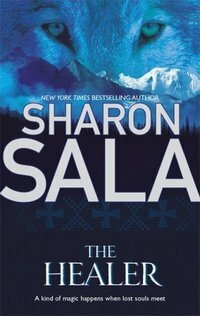 Danger is coming to their mountain refuge�a confrontation that will be decided only by a force of nature.